It was not pretty. It was often not good. But it still goes down as a W and Indiana’s first road win of the season. The Hoosiers have now extended their Big Ten record to 2-0 with half of its important four-game December stretch in the books. This one started with Indiana not able to find the net. The Nittany Lions jumped out to a 9-0 lead. The Hoosiers didn’t score their first bucket until a De’Ron Davis make at the 14:29 mark. And they didn’t hit double-digits until a Devonte Green jumper gave them 10 points with 11:01 remaining in the first half. The good news for the Hoosiers? The Nittany Lions only had 10 points then themselves. Penn State wasn’t much better in the shooting department. And the Nittany Lions were awful from the line in the first half (4-of-14). While that improved in the second half (7-0f-12), it was just an 11-of-26 performance overall (42.3 percent). In only a two-point victory for the Hoosiers, that was a crucial stat. Especially crucial because Indiana was uncharacteristically good from the line itself tonight as it hit 78.6 percent (11-of-14) — 16.2 percent better than its average coming into the contest. If there’s just a small movement from either team in the free throw department towards its season average — Penn State was shooting 70.2 percent coming into this one — this game could have turned out different with the Nittany Lions emerging victorious. Despite Indiana’s shooting woes in the first half, it was able to carry a 34-30 lead into the break because it valued the ball. 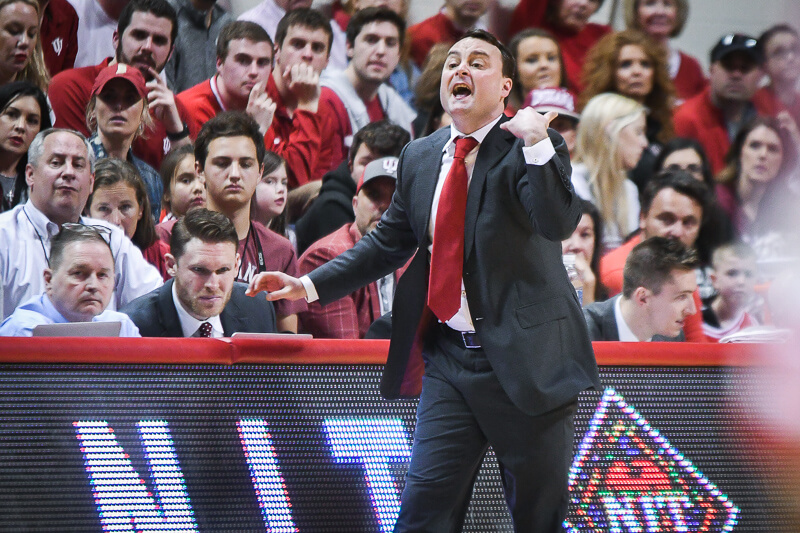 The Hoosiers turned the ball over on just 14 percent of their possessions, coughing it up just five times. It also didn’t hurt that Romeo Langford really had it going. He hit two tough stepbacks near the top of the key, added two 3-pointers and a 3-of-3 mark from the line en route to 15 first half points. Langford had five made baskets in the first half. The only other Hoosier to hit more than one? Devonte Green, who knocked in two 3-pointers. 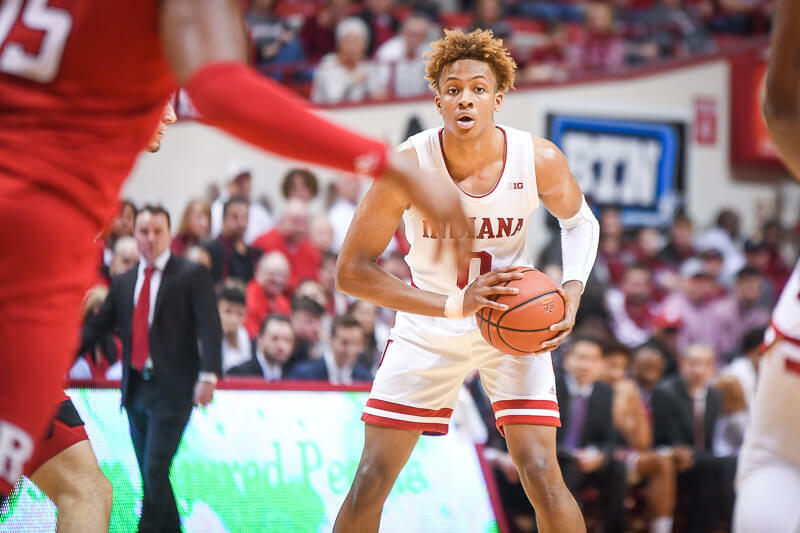 Indiana looked like it might cruise to victory in the second half as its lead blossomed to 14 points at the 14:47 mark. But Penn State, like other Indiana opponents this season, threw a three-quarters court trap at the Hoosiers after the break. And in what was once a game the Hoosiers took good care of the ball quickly faded away. Indiana got sped up and threw weak passes, leading to turnovers. 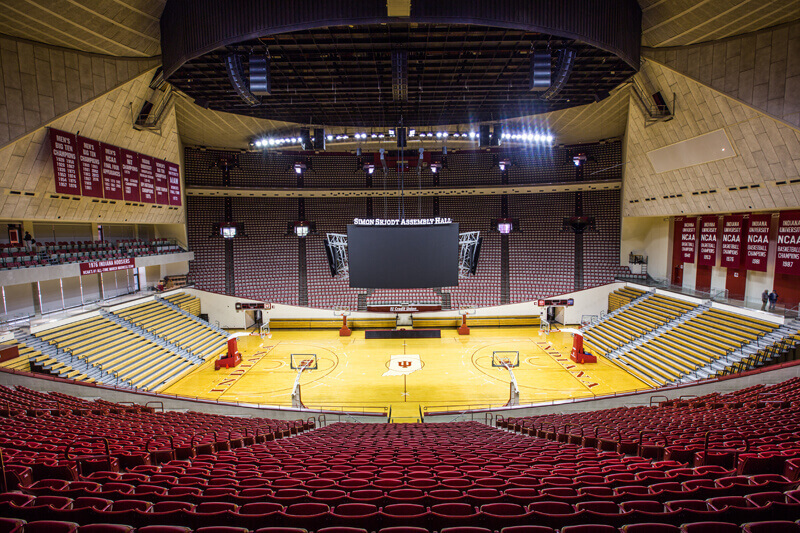 Its turnover percentage ended at 23 percent for the contest, an area with which the Hoosiers continue to have issues. An 8-0 run from Penn State over the final minutes of the contest made this one close. But Robert Phinisee came up with a deflection leading to a Justin Smith steal on the final possession of the game, a baseline out of bounds play from the Nittany Lions, to seal the victory. Phinisee was also huge in the second half on offense, hitting an ice-cold 3-pointer and scoring on a drive as the Nittany Lions fell asleep to keep them at distance. He had 10 second half points. While the Bryce Jordan Center was rather empty tonight, the Hoosiers still got a road win against a Penn State squad that entered the contest with the eighth-best adjusted defensive efficiency in the country No. 37 KenPom ranking. It’ll win them no style points, but at this point in the season, this is a solid W.